Learn the simple secrets to executing two of golf's trickiest shots. Unless you're playing a remarkably flat golf course, chances are you will be greeted with a ball lying above your feet at some point in the round. Certainly if you're out on the links. PGA coach Sam Quirke talks us through the basics of this tricky shot to help you achieve a clean strike and find your target. 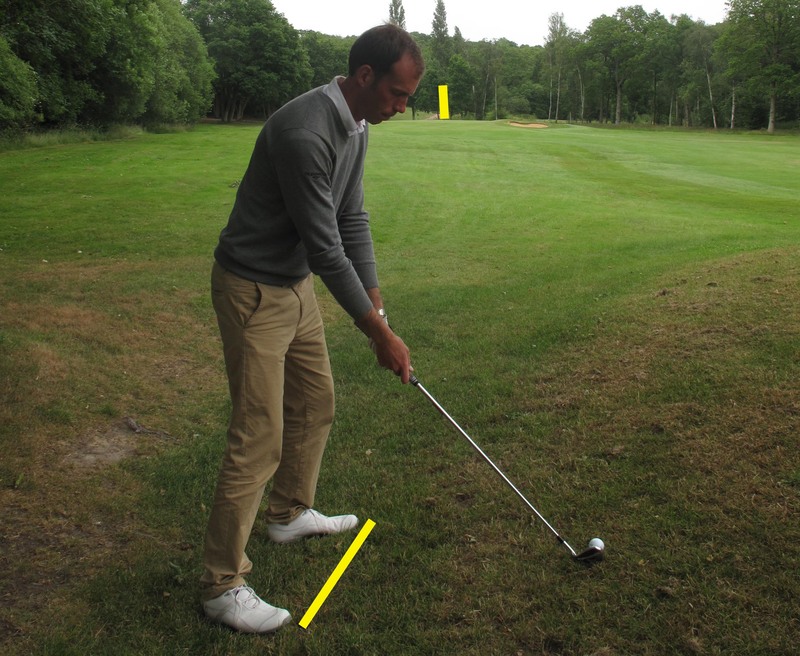 "At address have your hands slightly forward and grip down the shaft a little bit as well as standing taller over the ball than you normally would, enabling you to have more chance of sweeping the ball off the top of the grass," says Sam. "Always aim out to the right on this shot as the heel of the club will automatically hit the ground first and make the clubface turn over giving it a slight draw. "There's nothing else involved, just make a smooth motion and although the stance is unusual if you have enough practice swings it will feel as natural as a level shot." Now take a look at how to play golf shots when the ball is BELOW your feet.